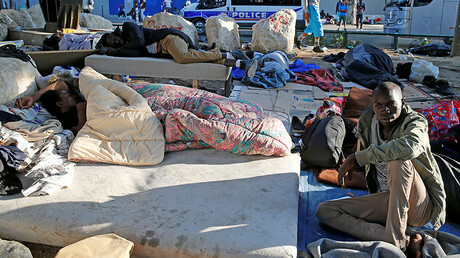 Parisians are up in arms over hundreds of migrants sleeping on their streets, queuing up in long lines, day and night, while waiting for their asylum requests to be processed, and some residents say they will start a hunger strike if the unkempt street camps are not removed. 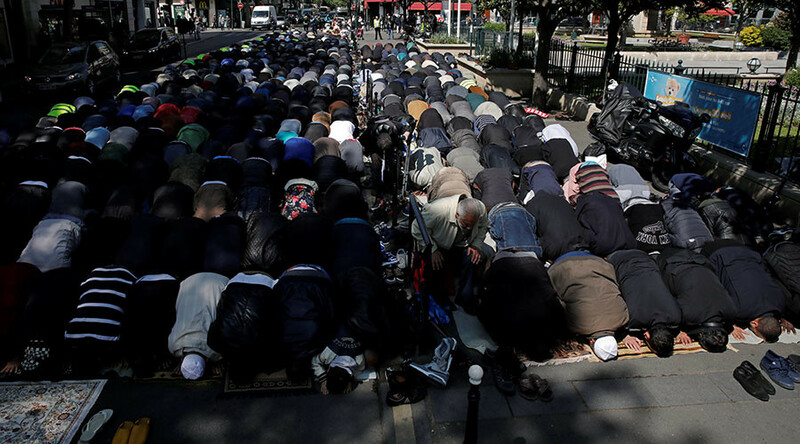 Locals in the 10 and 19th districts, located near the famous Sacré-Cœur Basilica, are urging authorities to relocate a center that processes asylum requests in northern Paris, voicing their concern over the unsanitary and unhygienic conditions migrants are forced to live in. “We had to install this fence to protect our communal parking from liters and liters of urine – this obviously cost money. And this was the only solution we came up with, but it is not sufficient,” Oscar, a concerned resident, told RT. 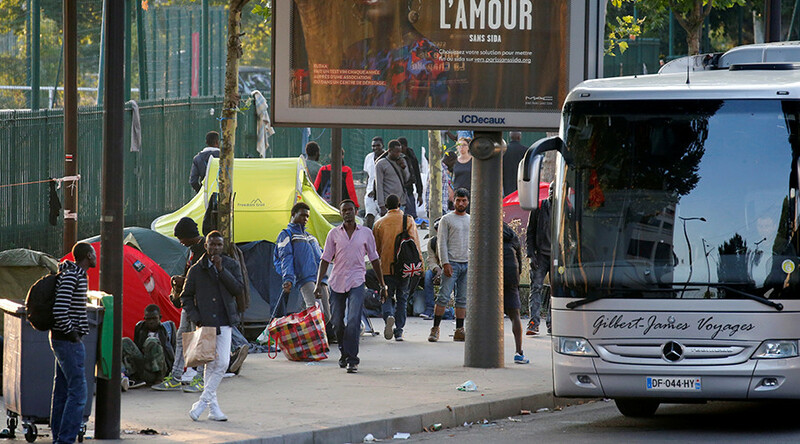 Dozens of migrants, frustrated after days of waiting and sleeping in the streets, have no other option available to them other than to camp in Paris neighborhoods. “Summer or winter, we are coming here every week to give food and medicine to the homeless. And with the influx of migrants there are more of them now. We have just distributed around 100 packages with sandwiches and pies, hygienic products and clothes. There are around 100 migrants out there who came from Afghanistan and Syria,” Nadia, a volunteer, told RT. Pierre Vuarin, a spokesman for a neighborhood association, told RT that, to solve the problem, authorities must first change the system of providing temporary facilities for asylum seekers. Last month, Vuarin and a group of supporters wrote an open letter to President Emmanuel Macron, asking him to take measures. They said that over the last two years, as many as 40,000 people have spent frustrating nights on a 100m-long sidewalk on Boulevard de la Villette, in northern Paris. Currently, there are more than thirty mini-camps that “appear and disappear” following police crackdowns, the letter said. “If no actions are taken to close down the temporary center for asylum seekers before January 1, we will be launching a hunger strike,” Vuarin and other activists warned. Macron’s office responded that the French leader was “aware of the difficulties of cohabitation” he referred the problem to the interior ministry, Le Figaro reported. 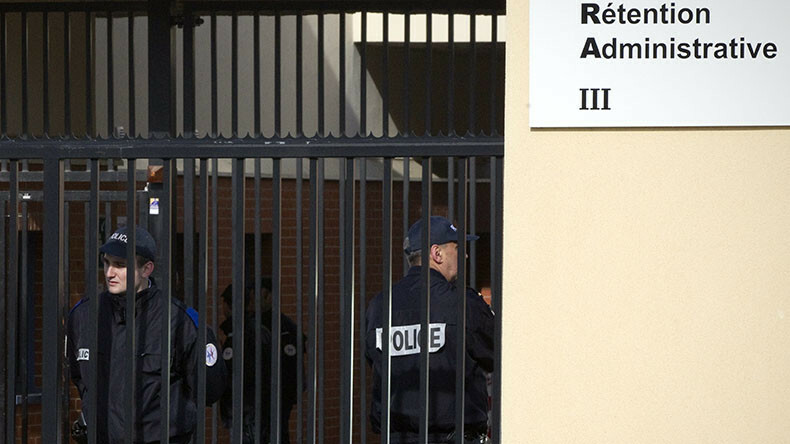 Alexandra Cordebard, mayor of 10th arrondissement (district) of Paris, said the government had promised the asylum center would be removed by the end of the year. 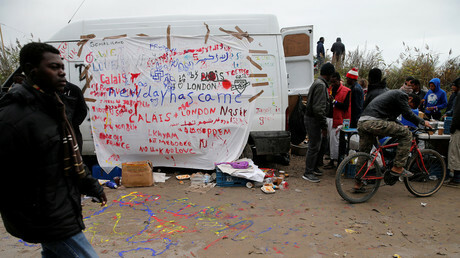 In August, nearly 2,500 migrants, of mainly African origin, were evicted from a makeshift camp in the north of Paris. They were taken to 18 refugee centers across the French capital. 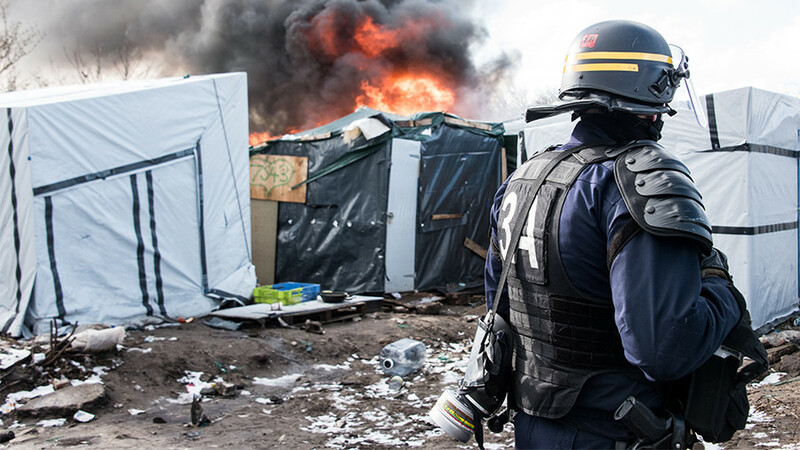 The numbers of refugees have reportedly grown in Paris following the closure of the infamous Calais ‘Jungle’ camp in the north of France, which was evacuated and razed last year, with over 6,000 of its residents being sent to various housing facilities across France. 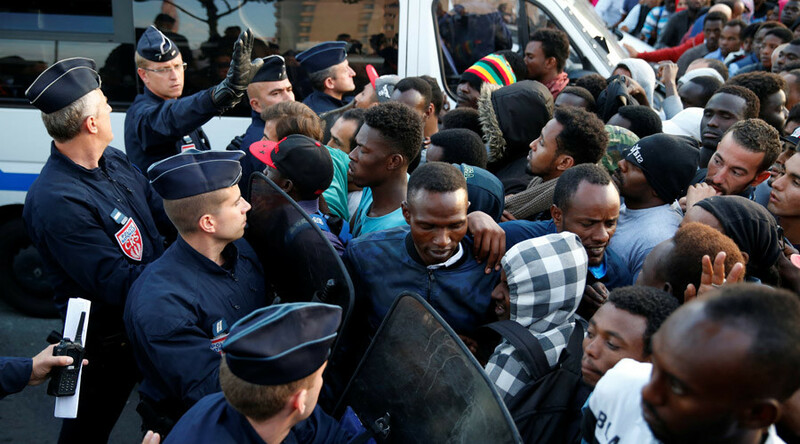 Following the camp’s closure, many of those displaced, hoping to find asylum in the UK, decided to relocate to the French capital. Earlier this year, Macron’s government presented a plan to create more than 12,500 places in reception centers for asylum seekers and refugees by 2019. Macron warned in October that all undocumented migrants convicted of a crime would be deported from the country. “We will take the most severe measures, we will do what we must do,” he said in a televised interview, as cited by AFP. “We’re taking care of the France where things aren’t going well,” the French leader added. His remarks came two weeks after a 29-year-old Tunisian man fatally stabbed two women at the Saint-Charles train station in Marseille.